Welcome to the home page of the Aeronautics and Space Engineering Board (ASEB). 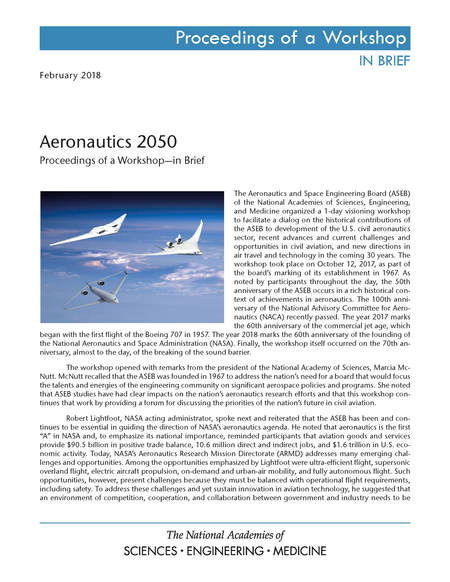 The ASEB provides an independent, authoritative forum for space engineering and aeronautics research within the National Research Council the operating arm of The National Academies. The National Academies of Sciences, Engineering, and Medicine will convene an ad hoc committee to assess the feasibility of an a safe and efficient urban air mobility (UAM) system. 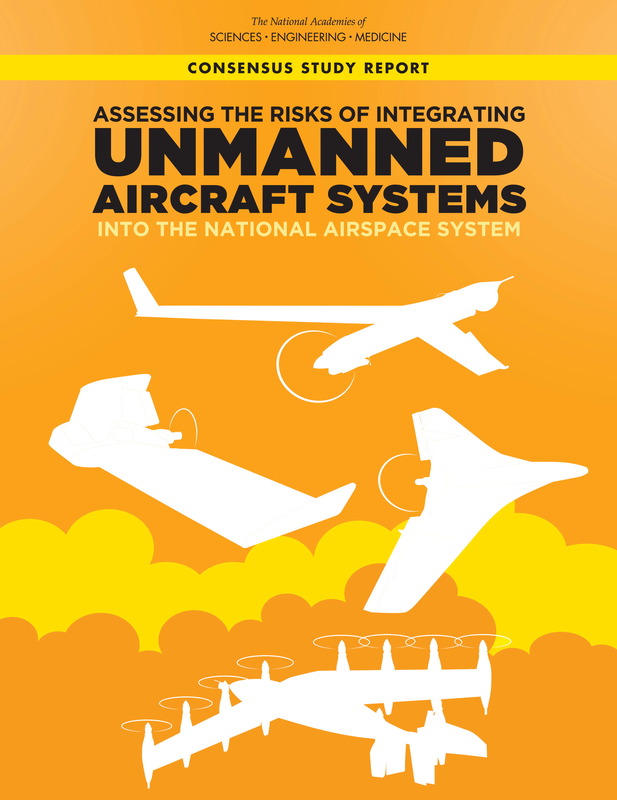 In terms of general definition and concept of operations, the committee will consider UAM to be a system for air passenger and cargo transportation within a metropolitan area (including operations over densely populated urban areas), with vehicles ranging from small drones to passenger aircraft with electrically powered vertical take-off and landing (eVTOL) capabilities. 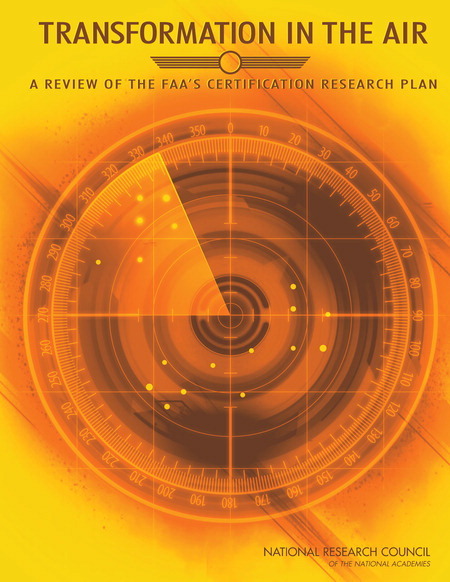 For both manned and unmanned aircraft, the study will focus on a system vision (including interface/integration into broader air transportation systems, ground transportation systems, and smart city systems generally), barriers, entrepreneurial approaches, and research projects that are particular to operation in uncontrolled airspace over metropolitan areas. The National Academies of Sciences, Engineering, and Medicine will convene an ad hoc committee to identify high-priority opportunities for improving and creating advanced technologies that can be introduced into the design and manufacture of gas turbine engines to enhance their performance (particularly with respect to efficiency and life cycle cost) by 2030. The National Academies of Sciences, Engineering, and Medicine will appoint a committee to organize a workshop on the topic of "Identification of Pilot Projects to Address Innovation Barriers and Related Assessment Criteria and Metrics.” A workshop proceedings will document the workshop, including summaries of individual presentations and ensuing discussions. The proceedings will not present consensus conclusions or recommendations. The Aeronautics Research and Technology Roundtable (ARTR) convenes senior-most representatives from industry, universities and NASA to define and explore critical issues related to NASA’s aeronautics research agenda that are of shared interest; to frame systems-level research issues; and to explore options for public-private partnerships that could support rapid, high-confidence knowledge transfer. 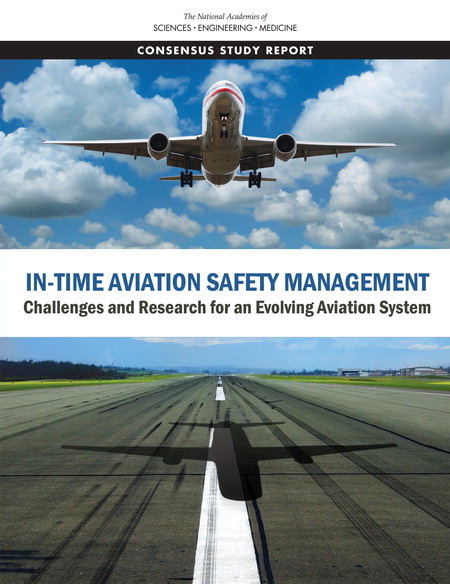 This forum will be designed to facilitate candid dialogue among participants, to foster greater partnership among the NASA-related aeronautics community, and, where appropriate, carry awareness of consequences to the wider public. The overarching purpose of the committee is to support scientific progress in space research in the biological, medical, and physical sciences and assist the federal government in integrating and planning programs in these fields. 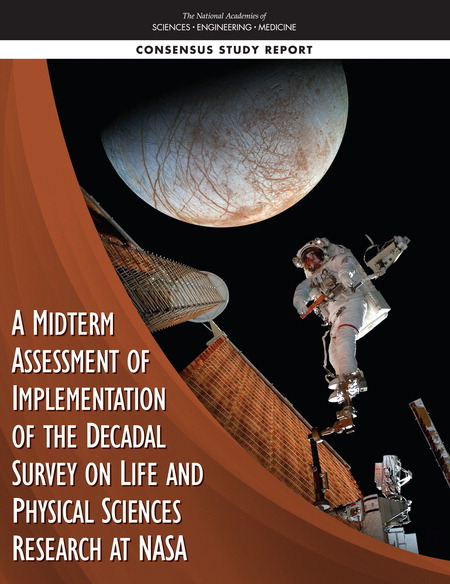 The scope for CBPSS spans plant and microbial biology, animal and human physiology, and basic and applied physical sciences, in the context of understanding the role of gravity in living and physical systems in order to develop capabilities required for space exploration, and using the space environment as a tool of science to advance knowledge. 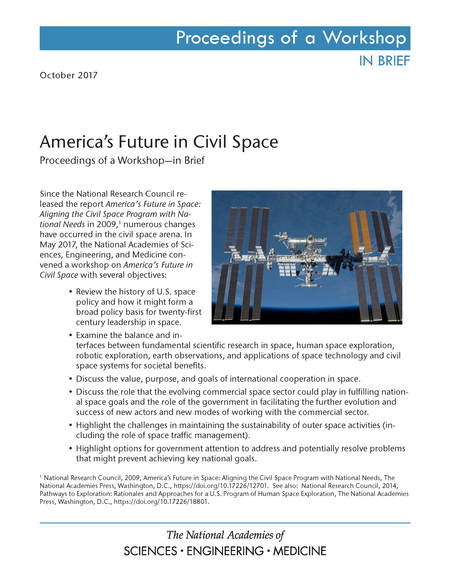 The Space Technology-Industry-Government-University Roundtable (STIGUR) of the National Academies of Sciences, Engineering, and Medicine convenes senior-most representatives from industry, universities, NASA, and other government agencies to define and explore critical issues related to NASA's space technology research agenda that are of shared Interest; to frame systems-level research issues; and to explore options for public-private partnerships. This forum is designed to facilitate candid dialogue among attendees to foster greater partnership among the NASA-related space technology community, and, where appropriate, carry awareness of consequences to the wider public. Site managed by the ASEB WebTeam.